Sometimes the beauty of the planets just grabs you and won't put you down. This is the perfect review for you! Ideal for serious planet hunters wanting the convenience of a go-to mount with high quality lenses and a very slow focal length. We're staying focussed on good telescopes for viewing planets on this page. If you need a general purpose telescope, then head to one of our 'Best Telescope of the Year' reviews instead. You see, when deciding what telescope to buy to see the planets, you need a model particularly dedicated to the task. A telescope which has the special features making it ideally suited to observing the planets. 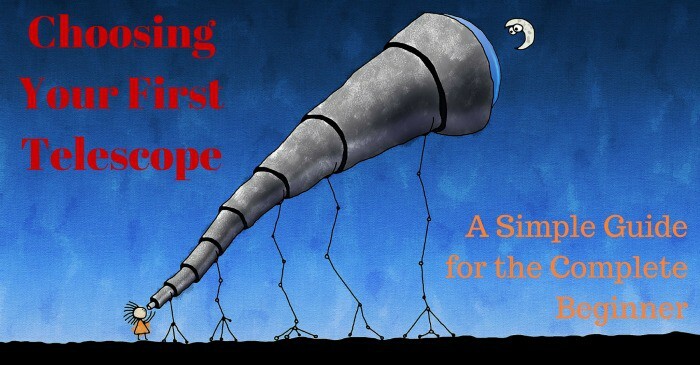 What Makes a Great Telescope for Seeing Planets? Maksutov-Cassegrain: the Ultimate Telescope for Observing Planets? The Best Telescopes for Seeing Planets? Do you know what those qualities are? This table of our best five telescopes for seeing the visible planets will get you started. Click each telescope for the latest price on Amazon.com, or scroll down the page for detailed reviews and specifications of each model. Budget﻿ conscious or for children wanting to see planets through a telescope. Beginners wanting better quality views of planets, but still with a limited budget. When money is not your first consideration, but high quality and magnification is! There are qualities that make a perfect telescope for viewing planets, and we've listed them out for you here. 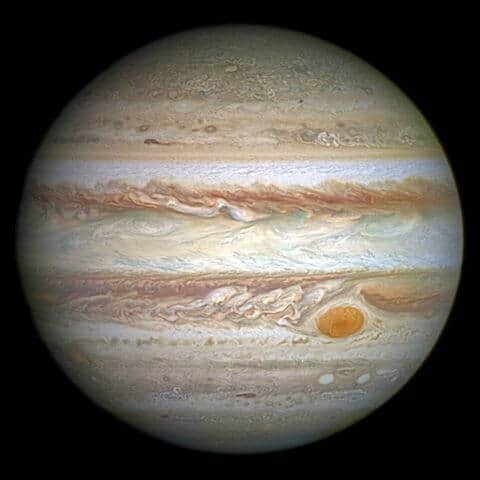 The planets (and moon) are the brightest objects in the night sky, which means light-gathering power is not always the most important thing for a good telescope to see planets. All the light from a planet is coming from just a small patch of the sky (even the full moon is only half a degree across). If you only need to fill your eyepiece with the planet you're looking at (and not lots of surrounding black sky) you only need a very small field of view. To get a smaller field of view, you need a longer focal length, which is the distance the light travels from mirror/lens to the eyepiece. Telescopes with a longer focal length generally have a higher focal ratio (the focal length divided by the aperture in mm). So, when shopping for a good telescope to see planets, you need to be looking for a higher focal ratio, also known as a 'slow' telescope. Anything with a focal length around 8 and above is known as 'slow' and is much more suited to planet observation than a wide-field, high low-ratio, 'fast' telescope. We can use a telescope's highest magnification for viewing planets because of their brightness. A telescope's magnification is calculated by dividing its focal length by that of the eyepiece you're using. For example, take telescope with a focal length​ of 600mm. Insert a 25mm eyepiece and you'll have a magnification of 24x (i.e. 600 / 25). However, although in theory this could go on for ever (e.g. 600x magnification if we use a 1mm eyepiece) there is an upper limit to a telescope's magnification​ and it's determined by how much light it collects. We are also limited, sadly, by the amount of magnification we can usefully use due to out swirling atmosphere. Aperture size has an impact on how much magnification is theoretically possible with your telescope. A rule of thumb is your maximum magnification is 2x the diameter of your aperture in mm. A 100mm refractor, for example, is going to have a theoretical maximum magnification of 200x. The last thing to take into account is quality of optics. If you purchase a cheap telescope to see planets, assume a usable maximum magnification of around 70% the theoretical maximum. Using the example from point 2 above, 70% of our 200x magnification is actually 140x usable magnification. In common with all scopes, better optics make for a better experience. Generally speaking, the best refractors for seeing planets will give a better view per mm of aperture than a reflector. This is because there's no secondary mirror to obstruct the light, and the light focussing power of top-end lenses (those known as apochromatic, or APO) is more effective than from a reflector's mirror. APO refractors are shorter in length than lower quality achromatic refractors and so are more expensive. You've already seen that we can look at planets with a small field of view. The downside to that is a scene moving very quickly through your eyepiece. Trying to keep up with that movement without an equatorial mount will prove very frustrating! Maksutov-Cassegrain (MKC) telescopes are perhaps 'the daddy' of telescopes for viewing the planets. They are a variation on the Schm﻿﻿idt-Cassegrain ​design (which combines both a mirror and lens in a sealed unit) with a very long focal length - but in a much shorter tube. This makes them very 'slow' and perhaps the best kind of telescope for studying the planets. Now you know the features which make a telescope an ideal planet-watcher, it's time to share with you our review of five great models which range from a cheap telescope to see the planets at one end, all the way to a high quality MKC that will cost over $1000! We've reviewed five telescopes for seeing planets to match every budget from below $200 to around $1000. For the current price on Amazon, click on the telescope's picture below or the links above. Easy to set up and go! Ideal For: Those wanting a cheap telescope to see planets, or for children wanting their first taste of seeing planets through a telescope. Ideal For: Beginners who want a better quality, more versatile telescope but to still see the planets within a limited budget. Massive magnification of planets. You're only limited by atmospheric quality! Price! This is not a scope for the faint-hearted. Ideal For: When money is not your primary consideration, but high quality and high magnification of the planets is! It's a really close call on which is best,because it depends so much on our budget constraints. If budget is a serious constraint, then you could do much worse that the Orion AstroMaster, which was the second scope on our list. The biggest issue with that one is the alt-azimuth ​mount, which isn't great, but the fine controls mean this is acceptable for the cost and you are getting a decent aperture. In well-deserved first place on our list is the third most expensive scope: the Celestron NexStar 4SE. It's the first example of the Maksutov-Cassegrain model and represents a ​wonderful telescope for seeing the visible planets in more detail than you've ever managed before. The second most expensive scope of the five we've reviewed is the Sky-Watcher 100mm APO refractor. Without a doubt this is a beautiful telescope and the perfect tool for planet watching. It's only downfall is being supplied without a mount and - for a website focussed on helping you get the most from the night sky - we couldn't award it first place when you'll need to spend a couple hundred dollars more to use it! All that said, if you do already have a decent mount, you are probably not going to get a larger aperture and better quality lens for this much money! Finally, we had another close contender for the winner of Best Telescope to See the Planets: The Meade LX70. Another Maksutov-Cassegrain, this time with a much longer focal length (almost half a metre longer!) and an almost-crazy 6" of aperture. Mounted on a fantastic German Equatorial mount, it is no surprise this beast commands a high price. Its ability to carry off 300x magnification will make it a phenomenal planet seeing telescope, limited only by the atmospheric conditions. The only reason it didn't quite command 5 stars was the price. We hope you've found a winner for your budget amongst these five planet-watching scopes!